Free health screenings, including blood pressure, diabetes, vision and hearing; vaccinations and physical therapy assessments. Presented by the San Antonio Tamil Sangam (SATS). 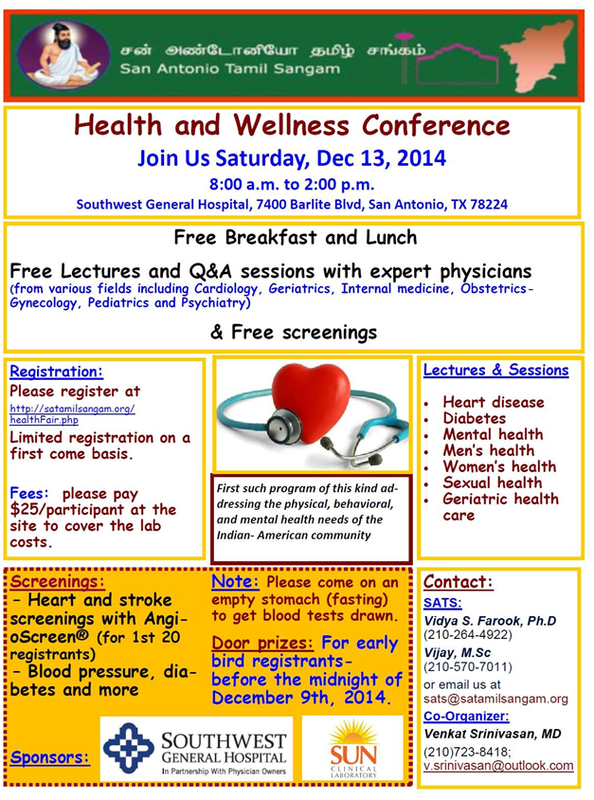 Sponsored by Southwest General Hospital and Sun Clinical Laboratory.